The term “specific learning disability” means a disorder in one or more of the basic psychological processes involved in understanding or in using language, spoken or written, which disorder may manifest itself in an imperfect ability to listen, think, speak, read, write, spell or do mathematical calculations. DISORDERS INCLUDED-Such term includes such conditions as perceptual disabilities, brain injury, minimal brain dysfunction, dyslexia, and developmental aphasia. 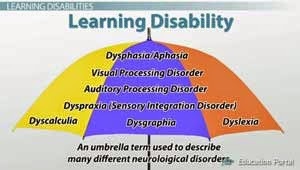 Learning disability (LD) is not a single type of a disability; it includes many areas are related to reading, writing, mathematics, language, fine motor skills, audition and vision that are called Dyslexia, Dysgraphia, Dyscalculia, Dysphasia/Aphasia, Dyspraxia (Sensory Integration Disorder), Auditory Processing Disorder and Visual Processing Disorder respectively. The most common type of LD is Dyslexia. These different types of LD can be observed as comorbidity that occur more than one condition in the same person. For example, one person has Dyscalculia, Dyslexia and ADHD. Dyslexia is an inability to understand the relationship between words, letters and sounds or to comprehend the mean of words and paragraphs. Dysgraphia occurs when a child has physical difficulties about forming or organizing words. Dyscalculia is an inability to memorize and organize of mathematical contents. Dysphasia/Aphasia is a disability to organize thoughts and to paraphrase a paragraph or speech. Dyspraxia (Sensory Integration Disorder) is a situation when a child is unable to use fine motor skills like holding, cutting and gross motor skills like running. Auditory Processing Disorder is an inability to recognize the main differences in sounds. Visual Processing Disorder causes difficulties about the perception of visualization. Although researchers have some basic ideas about the causes of LD, there is not an exact cause of LD. However, the studies about the neurobiological factors indicate that learning disabilities are related to a neurological dysfunction in the left temporal brain of the person. There are some reasons, which can be categorized like genetic factors, medical factors and toxins, to have this neurological dysfunction. The some researchers suggest that LD has heredity based. Some medical factors like premature birth, pediatric AIDS can cause LD. Moreover, some toxins affect a fetus in the uterus and they can reason for the LD because of the malformations and defects. Typical characteristics of students with LD are listed below. Confusion of similar words, difficulty using phonics, problems reading multi-syllable words. Slow reading rate and/or difficulty adjusting speed to the nature of the reading task. Difficulty with comprehension and retention of material that is read, but not with material presented orally. Difficulty with sentence structure, poor grammar, omitted words. Frequent spelling errors, inconsistent spelling, letter reversals. Difficulty copying from board or overhead. Poorly formed letters, difficulty with spacing, capitals, and punctuation. Difficulty expressing ideas orally which the student seems to understand. Problems describing events or stories in proper sequence. Residual problems with grammar, difficulty with inflectional or derivational endings. Confusion or reversal of numbers, number sequence, or operational symbols. Difficulty reading or comprehending word problems. Problems with reasoning and abstract concepts. Poor organization and time management. Poor organization of notes and other written materials. Need more time to complete assignments. Difficulty "reading" facial expressions, body language. Problems interpreting subtle messages such as sarcasm. Confusion in spatial orientation, getting lost easily, difficulty following directions. Disorientation in time, difficulty telling time. · What should teachers do? Ø The teacher should tell that this problem is not related to the intelligence, it is just different and requires more times. Ø Rules and expectations should be indicated transparently. The teacher should use positive statements when s/he tells the rules and expectations. Also s/he should remind them frequently. Ø When disabled student behave appropriately, the teacher should reward him/her. Ø The disabled student should sit closer to the teacher and the blackboard to prevent distraction. Ø The information on the blackboard should be divided into the sections, written with the colorful chalks, and underlined important parts. Ø The instructions should be understandable. The teacher should avoid giving a lot of instructions at one times, s/he should separate them into the pieces. Ø When disabled student becomes distracted, the teacher should communicate with her/him individually. Ø If the student is energetic, the teacher should give a chance to move around the classroom in order to discharge the student’s energy. Ø The teacher should prepare the activities according to the development of the student from easy to hard, from picture to the writing. Ø The teacher should provide opportunities to ask questions because some disabled students may be shy about asking questions. Ø The teacher should introduce the lesson information about how the lesson will go, and end the lesson by repeating the information. Thus the students can have a chance to transfer information from short term memory to the long term memory. 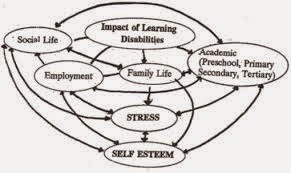 Ø The teacher should separate the topic different categories in order to have disabled student’s attraction. Ø The teacher should encourage the disabled student in specific areas that are not related to the student’s difficulty. Ø The teacher should form the lessons more attractive rather than boring. Ø The teacher should control the disabled student’s works, homework, notes. 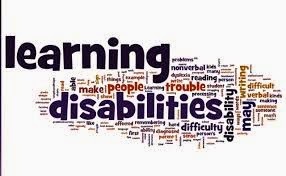 Ø The teacher should prepare the exams multiple choice or oral because many disabled students are more successful at these types of exams. Ø The teacher should provide more time to the disabled student. Ø The teacher should highlight important instructions at the exam paper in order to have disabled student’s attraction. http://www.pepperdine.edu/disabilityservices/students/ldcharacter.htm. (tarih yok). http://www.pepperdine.edu/: http://www.pepperdine.edu/disabilityservices/students/ldcharacter.htm IDEA. (1997). Amendments of 1997 (Cilt 602).